For the first time Dúctel,s.a will be present in the most important textile fair in Latin America, Colombiatex. 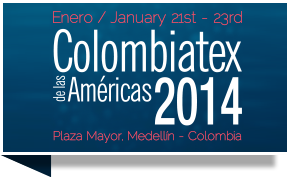 The fair will be held in Medellín, Colombia, from 21 to 23 January 2014. You can visit us at booth number 776.